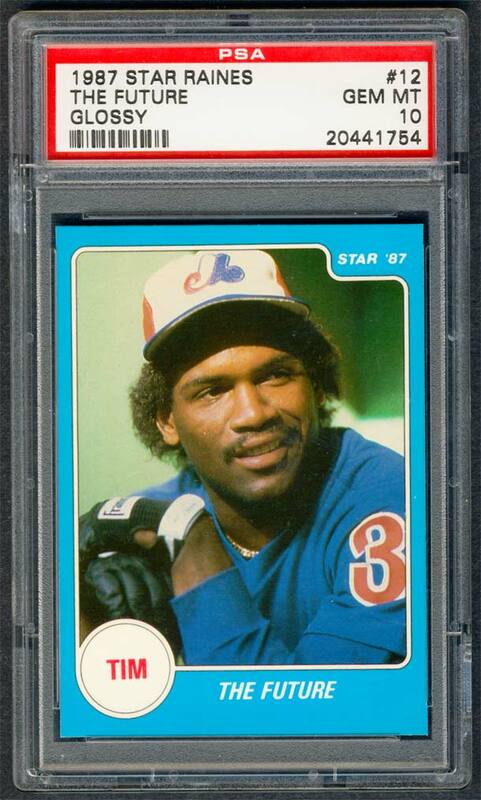 Comments: For Rock, I first purchased a 1985 Leaf PSA 9 in August, 2007. 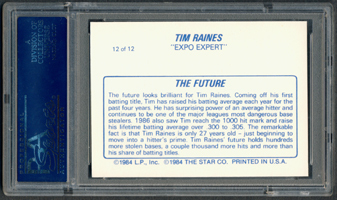 I replaced it with a 1990 Upper Deck PSA 10 card in March, 2008 with an eBay win from seller Matt Gumbel with 4Star Sports, Inc. But, I also had a Albert Belle PSA 10 representing the 1990 UD issue so I decided to swap out the Raines for yet another card. 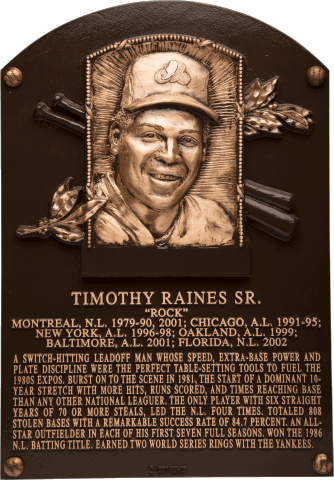 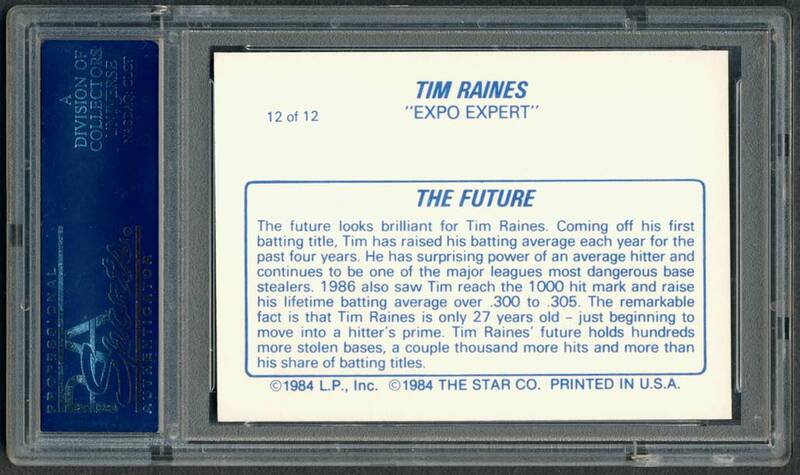 In July, 2013 I found this 1987 Star card and liked the fact Raines was pictured in an Expos uniform - it was perfect and I won the auction from 4 Sharp Corners.